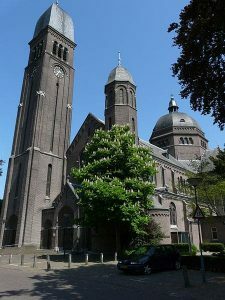 Helmond is a university city and municipality in the province of North Brabant in the south of Holland. The city has a population of around 90,000 people. It is an industrial town with many textile businesses. It has also has had more heavy industries, such as metal working and fabrication. It is the 5th largest town in north Brabant. Records indicate that the first signs of habitation were in circa 1000AD. The first actual settlement was in the late 12th century according to a Bull by the then Pope Alexander III. It must have been a prosperous place, as it expanded quickly until it reached a size whereby it was granted a charter to become a city in the year mid 13th century to Duke Henry 1 . In the middle of the city is a castle built in the 14th century, it is now surrounded by a large park. It was built by Jan III van Berlaer. It was a fairly strong castle surrounded by a double moat to keep attackers at bay. The castle had 4 sides and 4 round turrets at the corners. It was part of the formerly fortified defensive walls of Helmond. As the then rulers of Helmond had chosen to ally themselves and the town with the Spaniards in The 80 years War, the town was attacked and taken after a siege by soldiers loyal to the state. But Helmond castle stood firm and held against the invading forces who subsequently left. There was a reoccurrence of this 6 years later with the same result, that the castle stood firm and the attackers once again left without their victory. However the castle nearly succumbed in the mid 16th century when a huge fire took hold of it. But once again the castle was not defeated and the fire was eventually beaten. But the castles luck finally ran out in 1602 when it was once again attacked by soldiers of the state. This time they attacked the lightly fortified castle with cannons and the troops inside were forced to finally surrender. In the 1800’s with the advent of mechanisation Helmond experienced massive growth in its industry, most notably in the manufacturing of textiles. There was expansion in the iron making and metal working factories as well. There was also the building of canals from Hertogenbosch and to Maastricht, at the behest of King Wilem 1, as the industries had to have the means to transport their goods. By the side of the canal Zuid Willemsvaart, there were huge houses built for the owners of the factory’s. The canal improved the economy of the city enormously and Helmond grew wealthy on the increase in trade that it brought with it. In 1923 the castle was given over to the local council, who put it to use as a rather grand town hall. It remained with the council until the 1970’s when it became, perhaps rather more appropriately a museum for the city to enjoy. There is a fairly good train service to Helmond, there are trains every half hour to The Hague, Rotterdam, Breda, Eindhoven and Venlo. There are also slower local trains to Hertogenbosch, Eindhoven and Deurne. There are also good connections to go further afield for those that need them. If you are going out and about in the municipality, there is a very good regional bus service operated by the bus company Arriva. The local buses are also very good, reliable and clean and are operated by Hermes. If you are travelling around, then you will need an oc-chipcaart, which is a small, credit card size that you take to the station, or participating shops and load up with credit. This is then used to automatically pay, whenever you take a journey by public transport. If you are just travelling around the city, then you could always, as the Dutch do, use a bicycle. There are good cycle lanes and they are usually quite cheap to hire. Arriving by air you will usually fly into Eindhoven Airport, or over the border from Weeze Airport. There are over 50 flights into Eindhoven from various European airports. But although Eindhoven Airport is only 20 km from Helmond it is not easy to get to by public transport. Probably the easiest way to get there is to take a taxi from the airport. The Gemeentemuseum Helmond, has 2 separate sites that you can look around. There are exhibitions on local life from archeological discoveries, through the ages with the utensils that were used, both by the poor and by those who left such things to their servants. There are also a great number of paintings, drawings and sculptures. There are also a lot of local photographs and books and other exhibits from early times to the modern era. Warande is the park in the city where there are plenty of open land as well as small, secluded woodlands. There are also many animals living in the grounds. It is a great place for a walk in the open air, if you want a break from the city. De Waard is an excellent restaurant with great food. It is not always necessary to book, but as it can get very full, even when the town is quiet, then it is probably a good idea. Very good food, very good service from the helpful staff as well. De Steenoven has beautifully prepared food all done with a great deal of flair. If you are not sure what to order the staff will be very helpful. The service is all done in an efficient friendly manner. 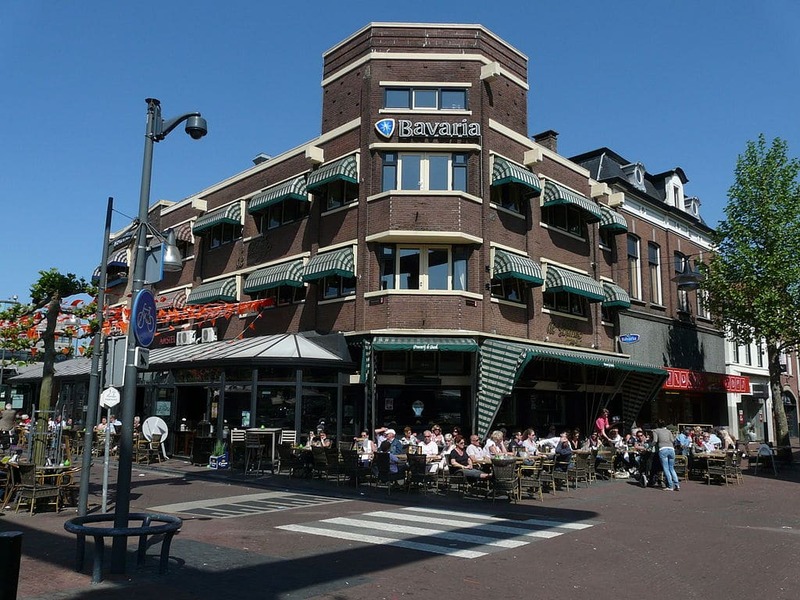 Helmond is an interesting town with a well documented and fascinating past, but with a definite flair for the future.